I watched my child looking at motes of dust floating in the air one morning and she was fascinated. I tried to stay in the moment but realized there was a lot of dust floating around, and we vacuum every day, and have two air filters going at all times, the exterior doors are new, the windows airtight, why was our house so dusty? I was told time and again old houses are just dusty. This isn’t an answer a tech guy wants to hear especially after nearly $15k worth of windows, doors, ac systems, duct work, etc over the past few years. Where was all this dust coming from? 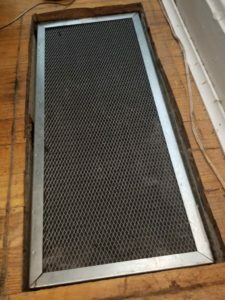 Why was it not all caught in the air conditioner’s filters? I got told clean my ducts, hole in the duct, hole in the wall, basement sucking air up, yadda yadda yadda. I have washable filters now, before I had replaceable ones, I still ended up with dirty filters and airborne dust. So that wasn’t an issue. I spent way too much money on anti allergy filters, same thing. I tracked a mote of dust as it slowly flowed from the air over to the filter and got sucked in. 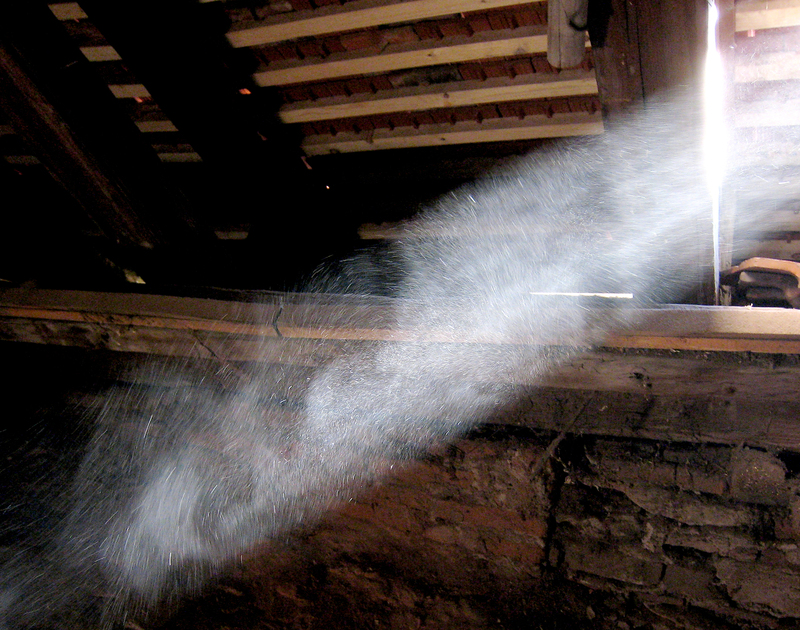 I went and looked at the vents and… guess what, it appears that dust was coming right back out. I checked the ducts underneath the house, they were not leaking air and there was no indication dust was getting in from there. No, what it was was there was a tiny little gap around the air filters. About the width of a quarter and the dust and air were mostly going right through there. Some dust was landing on the filters, but you could watch as most of the air just bypassed the filter and went the easy way around. My old house had old air intakes, which meant the air filters were just sort of hanging out next to a relatively large opening. You can verify with a punk stick, cigarette smoke, or small balloon (see where it gravitates to on a filter.) For my floor filters a balloon was always going to the side, where air was going around. So, the options here are either get a heating and cooling professional to come out and replace your filter holder with one that properly fits and passes the punk stick test, or grab some painter’s tape and seal off the side air flow. Takes about 20 seconds to painter’s tape a filter in, tape can be reused a few times. I believe it costs in the neighborhood of about $8 for three years worth of airflow seal. 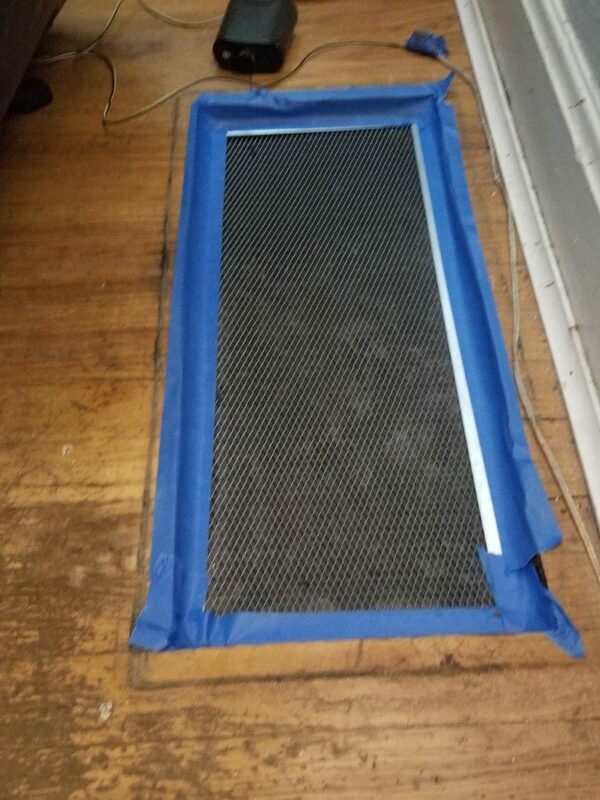 Do beware though that if you’ve been getting thicker and thicker filters in an attempt to arrest the dust/pollen/etc there’s a chance that making the filter actually do the work it was supposed to do may strain your fan. I did this a week ago and the air is visibly less dusty and the filters are getting filthy fast. Update at a couple of months in: for the first time in forever there was no dust when I went to dust. I mean, there was some but daaaaamn, Felt like someone had dusted the night before. On a related note I’ve had to wash out my washable filters twice already, they’ve been extremely dirty as they’ve finally been catching stuff.